My wife is such an amazing person. Last year, she was working a full and part-time job while also going to college. On November 4th, she was in a car accident and broke her neck. A week after surgery, she was back in class. Although having some issues with her back, she has never missed class. She shows our four kids every day that you can do anything if you put your mind to it! She now teaches Sunday school for the kids at our church. And, this December, she will graduate with her Bachelor’s Degree but is already on a mission to get her Masters. She wants to help others through her work and is one determined woman. She is the hero in our family! Grace – you are definitely determined! Any parent or teacher that is setting a great example for the next generation is a true hero in our book! Keep up the great work! 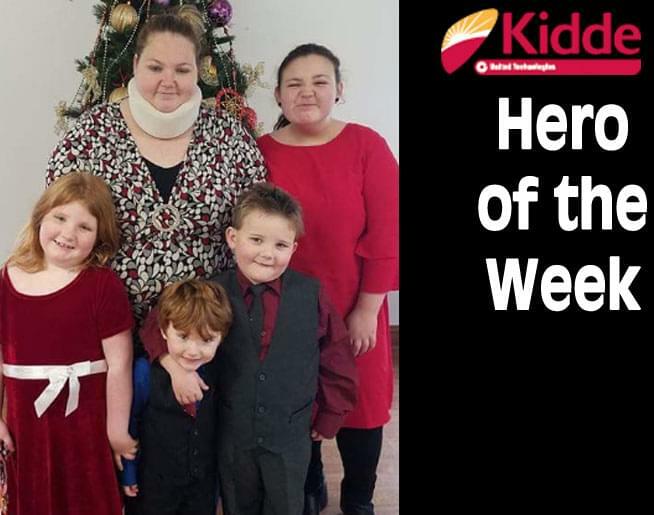 And, glad you’re recovering from your accident… Grace Roy – you are this week’s Kidde Hero!